UPDATES : LA Times and Amfion (Finland) reviews, Sävelyspaja, Atlantic Center for the Arts, Darmstadt Ferienkurse für Neue Musik, and other news! Spring to Summer 2016 has been an exciting period for me! In addition to performances of my music in the United States and Europe (San Francisco, Los Angeles, Boston, New York, Finland, and Germany), within half a season I have received three highly positive reviews of my music, defended and received my Ph.D. degree from the Brandeis University, and attended two music conferences/festivals and one residency within which I presented my music in all formats. To read the LA Times review in its entirety, please click here. To read Messerli’s review in its entirety, please click here. To listen to the live recording of Pale Fire (2015), please visit the “Music” page on this site here, or visit my SoundCloud page here. In May I returned to Boston and successfully defended my dissertation monograph, titled “On the Epistemological and Methodological Approaches in the Analysis of Contemporary Music and a Synthesized Analysis of Fausto Romitelli’s La Sabbia del Tempo (1991)”, and composition Bonjour Minuit – a theatre of poetry : Proem and Episodes I:I-I:IV (2015). I therefore received the degree Doctor of Philosophy in Music Composition and Theory from the Brandeis University. The dissertation monograph will be available on ProQuest network through general online search next month. 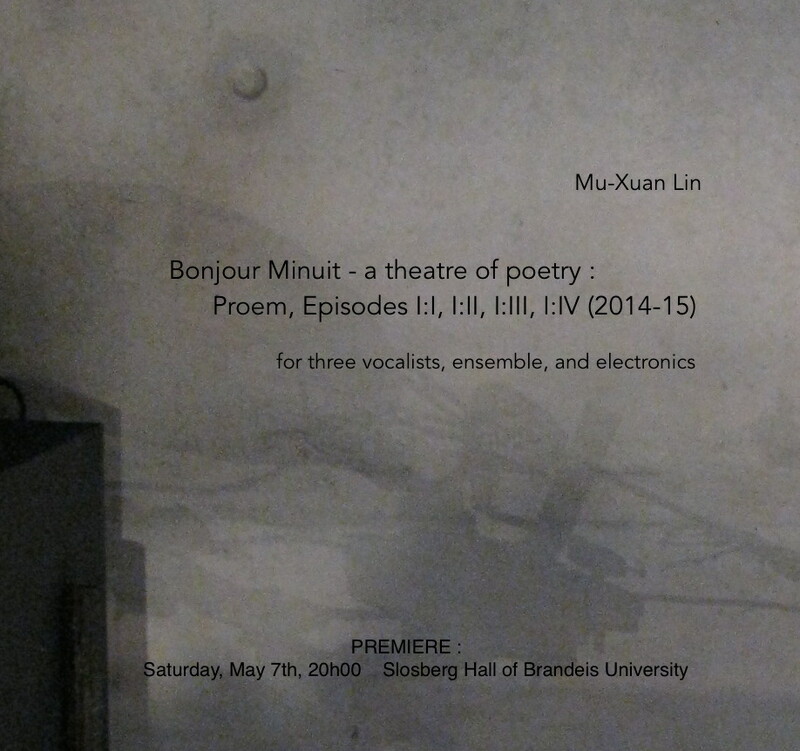 The audio recording of the public reading session of Bonjour Minuit – a theatre of poetry : Proem and Episodes I:I-I:IV (2015) can be found at my SoundCloud page here. Rehearsal with the Avanti! Chamber Orchestra, Helsinki. To read the Amfion (Maija Hynninen, critic) review in its entirety, please click here. Selected as one of the eight Associate Artists (supported by scholarship), I was honored to be able to attend the Master-in-Residence Program Residency at the Atlantic Center for the Arts in New Smyrna Beach, Florida, this summer, working with Master Artist Georg Friedrich Haas. yet within the two-week residency period, I enjoyed an incredible experience interacting with my fellow artists in all three disciplines (music composition, writing, and visual art), conversing with and learning from Mr. Haas who has dedicated a tremendous amount of time and energy to us, and sharing my work with others. Besides, we shared a habitat with the armadillos and tortoises, did yoga every morning (led by the unabashedly candid Porochista Khakpour), and supped on delicious pan-Asian-influenced modern cuisine prepared daily by an amazing l’artiste cuisiniere named Lexa! Me in front of my residence studio, in the midst of New Smyrna jungle (ACA). After Florida I spent two weeks in Switzerland, a short repose from the hectic voyage and projects. With the generous support of the Center for German and European Studies at the Brandeis University, in late July I then traveled to Darmstadt, Germany, a postwar-rebuilt city near Frankfurt that is the hometown for the famous Darmstadt Ferienkurse für Neue Musik since the 1950s. This edition’s Ferienkurse marked the 70th anniversary of its inception and was organized with great ceremony and attention, comprising a huge program and a roster of super stars within the new music world. The overarching topic of this year’s anniversary edition is “Music in the Expanded Field,” which is manifested by an aesthetically and ontologically diverse body of repertoire and performances along with philosophical/theoretical discussions and multi-disciplinary engagements. The rigorous composition practice represented by Lachenmann, Furrer, Ferneyhough, and Czernowin was paired with works by les enfants terribles of the new musical dialectician like Mahnkopf or new conceptualist Kreidler; music as organic and sensuous expressions such as works by Aperghis and Filidei was next to equally sensuous yet non-directional Klaus Lang or the quiet contemplation of Andre; the grand theatrics of Steen-Andersen and Takasugi stood in curious angle facing the boldly political yet naïvely straight-forward Jennifer Walshe. Workshops and performances range from music journalism to electronics ateliers, as well as composition engaging sites, body, and/or media and the composition-instrument platforms focusing on specific formations and concepts. First week of the Ferienkurse also consisted of a series of panel discussions and lectures, which added to the creativity-centered festival an aspect of discourse that is energetic and constructive. My reflection on the Ferienkurse will be elaborated and presented in another report later. For now I would describe briefly my involvement in the Ferienkurse. Besides many of the concerts, workshops, and lectures I was able to attend during the festival, I was also quite fortunate to have been chosen to participate actively in the Flute-Composition Workshop supervised by Rebecca Saunders and Eva Furrer. It was an intensive and intense three-day program which was concluded by a public presentation-concert. Two composers were paired with one flutist, and we workshopped together (as a team) for three afternoons. Each composer developed a musical idea based on the sonic materials tried out and experimented within the workshops, and composed a sketch/miniature for the flutist to read and perform at the public presentation-concert at the end of the third day. During the workshop days the two instructors walked through each room to supervise on flute playing techniques and notations. The experience was one of intense stress and great exhilaration, as the limitation of time and the peculiar condition — working within the same room with another fellow composer whom you did not know well — prompted many interesting interactions, difficulties, and inspirations. The final presentation-concert was very well attended, and it was exceedingly fun to observe others’ laboratory results and the audience’s reactions. Public presentation-concert on August 5th, Darmstadt Ferienkurse. I explained to the audience the particular sound gesture I employed in my miniature – a sweeping air-voice sound traversing from one end of the alto flute to the other end (extended by a paper megaphone), followed by flutist Tamara Kohler’s reading of the project. During the Ferienkurse, I also had the fortune of working with Beat Furrer, Francesco Filidei, and Claus-Steffen Mahnkopf in group and private lessons. I harvested different knowledge and understandings respectively from these composers who hold very different opinions about composition. Towards the end of my stay, I also gave an Open Space presentation — The Immersive and the Dialectic : Mu-Xuan Lin Presents Recent Works, focusing on works written between year 2013 and 2015, and on my role as a Taiwanese composer in a cultural paradox and what I consider my ultimate aim of music composition. Commissioned by the Piano Spheres Concert Series, my new piece for solo piano and electronics written specifically for pianist Vicki Ray, Pale Fire (2015), is to be premiered next Tuesday at REDCAT (Roy and Edna Disney/CalArts Theatre)! The recital consists of, in addition to Pale Fire (2015), solo piano works by Luciano Berio, Toru Takemitsu, John Luther Adams, a song cycle by Vicki Ray, and another commissioned piece by Dominique Schafer, Aufwind (2015), all of which were conceptualized around the idea of one or more of the four elements (earth, water, air, fire). Please also join us for a workshop/panel discussion in preparation of the concert on Saturday, February 20th (13H00) at Boston Court Performing Arts Center in Pasadena, CA. Vicki, Dominique, and I will be joined by guest moderator John Schneider (KPFK, Microfest) to talk about and present the two commissioned pieces in a relaxed, open atmosphere. One tends to imagine the calendar years as connected together, one after the other, by dainty little links that’s the New Year’s eve and New Year’s day, yet with the overlapping and cross-referencing of cultures and geographical locations in my life — Liturgical calendar, Lunar calendar, Minguo calendar (what Taiwan officially uses), Hebrew calendar (having gone to a school with strong Jewish heritage), and, of course, academic calendar and my composer’s deadline schedule — I myself envision periods of weeks and months and seasons more as irregularly lined pleats of temporal transformation and metamorphoses of realities. So for me the ushering-in of the first couple months of year 2016 from the receding tides of 2015 feels more like the visible, eventual manifestation of the last couple months of 2015, together the two ends framing an accumulated, revolved body of processes and matters. – Premiere of Pale Fire (2015) for solo piano and electronics at Disney Hall’s REDCAT theatre on the recital “Four Elements” by pianist Vicki Ray, Los Angeles, February 23rd 2016. For information see Piano Spheres Concert Series. – Workshop and panel discussion about Pale Fire (2015) and Dominique Schafer’s Aufwind (2015) with pianist Vicki Ray, Dominique Schafer, and guest moderator John Schneider (artistic director of MicroFest, host on Pacifica Radio’s KPFK) at Boston Court Performing Arts Center, Pasadena CA, February 20th 2016. 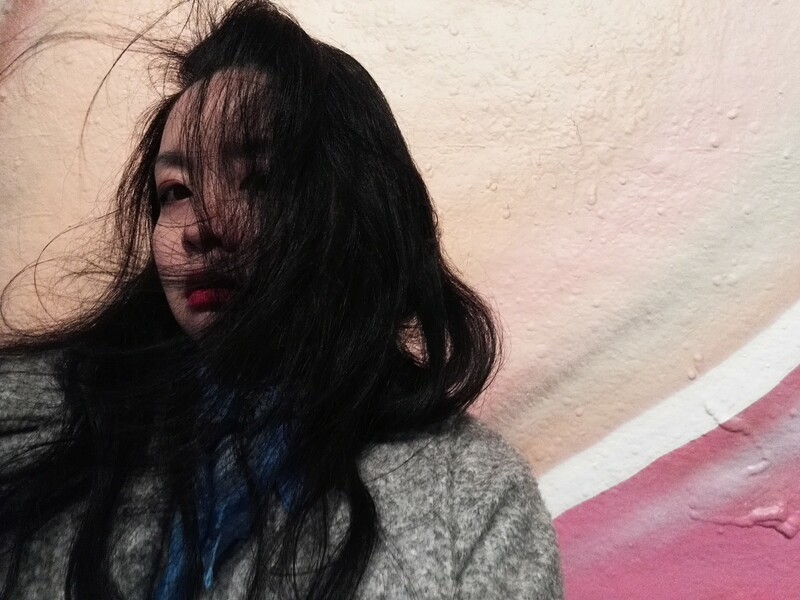 – Transient Canvas‘s performance of Peinture Nº1 (2014, rev.2015) in Boston (Church of the Advent), February 2016. – Transient Canvas’s performance Peinture Nº1 (2014, rev.2015) for bass clarinet and marimba in San Francisco, late January 2016. 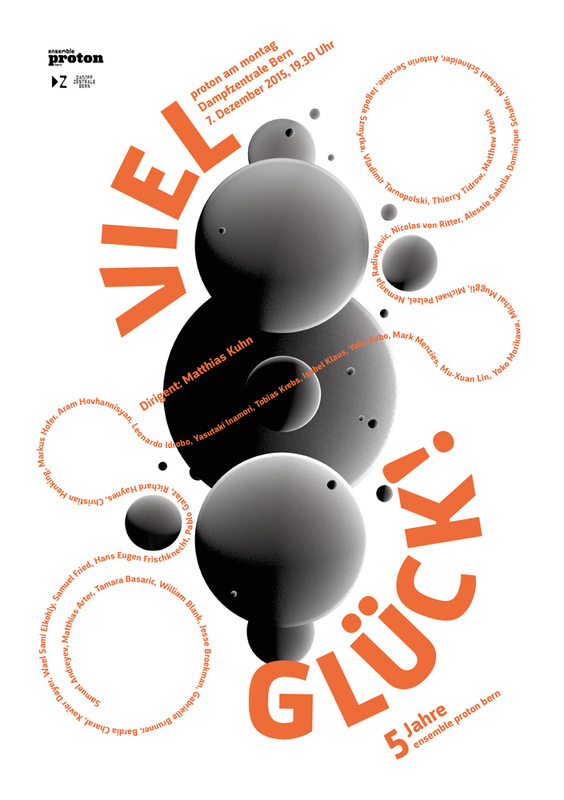 – Ensemble Proton‘s performance of about G (2015), miniature for quintet and performance art, at their Viel Glück! concert in Bern, Switzerland, December 2015. – Bill Solomon‘s performances of An Unfinished Tale (2004) for solo percussion at University of Wisconsin-Stevens Point and University of Minnesota-Duluth, November and December 2015. As I move forward towards the tidings of later spring — a colloquium lecture given at California State University-Long Beach in March and the premiere of my theatrical work Bonjour Minuit (2014-15) at Brandeis University in May, my month of February concludes an extended period of experimentation, hard work, commitments, the fruition of certain efforts, and, magically, a short yet rejuvenating escapade in Portland and the Big Sur. More updates coming soon. At the same time, I wish you all a great month ahead and a (few days from now) Happy Chinese New Year 新春愉快! Many happy returns, Ensemble Proton Bern! Along with 32 other pieces written specifically for the occasion of Ensemble Proton Bern’s 5th anniversary celebration, my miniature piece about G (2015) for flute, oboe d’amore, harp, clavichord, and violoncello will be premiered tomorrow (Monday) evening at Dampfzentrale in Bern, Switzerland, featuring incandescent Bettina Danielle Berger, Martin Bliggenstorfer, Vera Schnider, Jan-Filip Tupa, and Samuel Fried who, in addition to producing the sonic part of clavichord, simultaneously takes on the theatrical role of weaving the visual into the auditory as a performance artist. This is the most humoristique musical spectacle I have undertaken as of yet! The concert is structured as a musical “pearl necklace” with 33 miniatures written for various instrumentations of the ensemble. Come hear music by Samuel Andreyev, Matthias Arter, Tamara Basaric, William Blank, Jesse Broekman, Gabrielle Brunner, Bardia Charaf, Xavier Dayer, Wael Sami Elkholy, Samuel Fried, Hans Eugen Frischknecht, Pablo Galaz, Richard Haynes, Christian Henking, Markus Hofer, Aram Hovhannisyan, Leonardo Idrobo, Yasutaki Inamori, Tobias Krebs, Isabel Klaus, Yoko Kubo, Mari Menzies, Mu-Xuan Lin, Yoko Morikawa, Michal R. Muggli, Michael Pelzel, Nemanja Radivojevic, Nicolas von Ritter, Alessio Sabella, Dominique Schafer, Michael Schneider, Antonin Servière, Jagoda Szmytka, Vladimir Tarnopolski, Thierry Tidrow, and Matthew Welch. In September and October, with a bourse from EXPERIMENTALSTUDIO and a double-grant from the Max Kade Foundation and the Center for German and European Studies at Brandeis University, I attended EXPERIMENTALSTUDIO des SWR’s Matrix15 conference in Freiburg as one of the two dozens of participants among which were composers, theorists, sound artists, and improvisers. This year the main guests are composers Mark Andre, Hèctor Parra, Hans Thomalla, and Brice Pauset (who was rarely present due to a seasonal cold), and directors and engineers of IRCAM (Paris) and HUSEAC (Cambridge, MA). Throughout the length of the conference we participated in lectures, technological workshops, instrumental workshops, presentations of our music, masterclasses, and symposia, and attended three concerts. After Matrix15 I traveled to Berlin – the capital of contemporary music in Germany – where I extended my research to include attendance at young German conceptualist composer Ole Hübner’s children’s opera Die Irrfahrten des Odysseus at Deutsche Oper Berlin and discussions with Berlin-based composers, notably that with Universität der Künste composition professor Marc Sabat, who is originally from Canada and had spent time on the west coast of the US. During the two weeks in Germany, I had presented my music, exchanged ideas, engaged in aesthetical and theoretical discussions and debates, and above all attained new knowledge through such multilateral intercourses. Much of what was discussed contributes directly to my current research, and some provide information previously unmonitored by me, while the others provoke profoundly, sometimes even offensively, what I have been doing (in my music) and taking for granted (in the philosophy of composition) that they challenge me to reassess, with a bird’s-eye view, the current reality in the field of composition and also my place as a young composer in relation to the field (especially that of the progressive west European contemporary music scene) and the society. In the following text I outline several topics and ideas that were brought upon the table of discussion and which are highly relevant to my research and composition in the recent years. Opening the final panel discussion of the conference, “Simplicity vs. Complexity” (Brigitta Muntendorf, Björn Gottstein, Detlef Heusinger, Benedikt von Peter, and Peter Weibel), young German composer and previous Siemens Award winner B. Muntendorf described the difference between music composition and other language discourses with a statement which, in translation and with my paraphrasing, is this, “Music (or any expressive art without language) composition, in contrast to language discourse formulation, is a reverse act of eroticizing the abstract concept into tangible, visceral experience.” This statement cannot be more comprehensive yet meanwhile provocative, as it raises many questions under debates in the discourse of new music in the recent decades. The complex situation of new music since the mid-twentieth century has aggravated further after the dissemination of media and internet in the 90s. The epistemological pluralism in our societal reality today poses great difficulties for the conversations within a seemingly closed and specialized community of contemporary music. Even within only the Austro-German composition scene the debates are fierce in regard to the subject of “what is music?” and “what does composition mean?”, the questions whose axiom is ontological and at times verging on the existential. With the lines between the acoustical, the visual, and the representational linguistic blurred in the world of perception today, it became increasingly challenging to define what is being eroticized, if using Muntendorf’s term. New Complexity composers with their hyper-complex scores deal with a highly radical interaction between performer and score, therefore eroticizing the relation between work and media. Second Modernity (under the umbrella of which many strains of compositional paradigms strive) composers’ debate with New Conceptualism composers are of a dualistic, opposing nature, as the former believe in the eroticization between concept and (sonic) materials within the framework of a work of music, while the latter negate the idea of the former and propose the eroticization of the extra-musical, critical meaning of the act of composition within the framework of a non-musical society. Which of the eroticization is most at stake? Is it the eroticization between work and media chez New Complexity, that between concept and material like what Second Modernity insists on, or that between the critiques of composition and audience in society which New Conceptualism proposes? Or is it, according to what Muntendorf herself does in her music which incorporates theatrically choreographed movements of performers, that between media and reception? These questions bring me to address an observation I have made, after having lived in Paris for four months last year on a residency at la Cité internationale des Arts and having now attended Matrix15 the participants of which consist of largely Germany- or Austria-based young composers and musicians. Both the hotbeds for progressive contemporary music development, these two dominant cultural matrixes have produced very different and occasionally inter-antagonizing music scenes since early twentieth-century. Today, the ideological and epistemological differences in the pursuit of composition between the mainstream French and the mainstream German are more than prevalent: the former, the refining of craft, the invention of form through process, and the work of music as autonomous and sensuous being; the latter, discursive transaction between work and people rendering the music imperfect, the vulnerability of a musical agency, and a work as a platform to pose a question. Narrowing our investigation down to a look at the German scene, we see that due to the sometimes radically reciprocal relation to the language, especially critical, discourses, many young German, German-influenced, or Germany-based composers have often time in their composition emphasized on topics and objects that were traditionally considered extra-musical or secondary to the music-heard. In some cases it’s the scores, and in some others it’s the visual components of presentations such as media or the physical presence of a composer-performer. In the more subtle cases, a distinctly German pathos often propels their young composers to find what they consider “French” music too musical, too decorative, and not dialectically interesting enough. To the questions of simplicity and complexity in music and technology, the answers are even more ontologically pluralistic than what the terms nonchalantly imply. Speaking of live-electronic in contemporary music, EXPERIMENTALSTUDIO’s sound director and program engineer Reinhold Braig defines simplicity (Einfachheit) and complexity (komplexität) more in the terms of what French would call the challenging (difficile/difficulté) and the easy (facile/facilité). He coins the former as “connections made easily within a closed generative system” and the latter as “the whole behavior of a system which cannot be explained”, therefore the terms border on the distinction between clarity and confusion and invoke qualitative judgment. In my opinion, this hermeneutic fallacy lies in that a complex system can be expressed through clarity, while a simple object can impose confusion if not delivered effectively. This is often the case of music, as it, as Adorno explains, “says something while concealing it in the same breath.” Nevertheless, in Mr. Braig’s second half of the lecture, he gave two examples of works (Luigi Nono’s Dell l’azzuro silanzio, inquietum and Pierre Boulez’s Repons) which manifest simply the different applications of complexity – one is sonic-conceptual (temporal acoustic result) and the other technological. Another discussion on the issue of simplicity and complexity would be that of Helmut Lachenmann’s opera Das Mädchen mit den Schwefelhölzern which the composer himself calls “music with images.” The new Frankfurt production (summer 2015) directed by Benedikt von Peter is an attempt of concretizing and, in a way, symbolizing and simplifying, the narrative of the music. Certain elements within the fabric of the music and its gehalt were crystallized into several visual objects with temporal frame throughout the opera onstage and offstage: mega-size balloon in the shape of the little match girl which deflated and fell to ground outside Oper Frankfurt, a mime show with a guinea pig at stage center, and the video projection of the text by Leonardo da Vinci and Gudrun Ensslin across the interior of the theatre. By singling out these elements from the music and the theatre of the music and making them individually physical, the production tries to selectively give the otherwise revealing yet self-concealing music of Lachenmann’s few representational semantic solidifications via the visual. This is an interesting compromise made between the signaling heard and the representational seen, between the Foucaultian complex ternary and simple binary. Simplicity and complexity in the use and development of technology are more easily recognized and critiqued. Harvard University HUSEAC’s Hans Tutschku insists on the simplicity required on making the interface of electroacoustic music performances. Such simplicity allows performers to execute the music musically without too much acquired physico-locomotivity in the practice and design of onstage choreography. EXPERIMENTALSTURIO engineers, on the other hand, promote the idea of treating loudspeakers as instruments and sound engineers as performers, therefore creating a performance environment as humane as possible, opening up an equally independent and complex playground as that of composition for sound engineers. In Paris, IRCAM engineers (represented by Gilbert Nouno at Matrix15) devoted years in developing computer programs which deal with many individual aspects of the electroacoustic music creation and performance. They propose that these programs in complex technology be in service of directly invoking new imaginations in composers’ conception of creation. Back to the discussion on the philosophy of composition, among the participants of Matrix15 the mentioning of New Conceptualism often created a good stir, so did the comment many of us gave to others in critiquing each other’s music in masterclasses which, simply put, is the idea of exploration or sometimes extremity, of “taking it further.” While the motive of each person concerning the latter cannot be objectively measured as the ambiance of a masterclass can sometimes resemble that of an arena, our mostly shared opinion on New Conceptualism in music is certainly allusive of the said subject’s simultaneous prestige and infamy. To deal with a material-aesthetic that is seemingly progressing toward apocalypse, the now already passé notion of Postmodernism being the evolutional outcome or inevitable solution of new music however opens up for the New Conceptualism in music a deviation. Instead of pushing the innovation of work (a piece of music) further forward or toward individuality when facing the complexity of current musical reality, new conceptualist composers make “conceptual music” an aesthetic style and turn this diffracted attention toward our surroundings – sonic or not – a tool or a material for composition. This is a particularly German phenomenon, as for young German composers the entire canon of concert music (its epistemology after Beethoven) weighs especially heavy on their shoulders, along with the marred memory of wars in the twentieth century, so a focus away from thereof and a new attention paid especially to another paradigm of societal reality become necessary for some. They deviate from the notion of the possibility of a “pure music” and of an artistic autonomy to a self-imposed detachment and critique on the existence of art. Intriguingly, such music often bears sonic resemblance to Postmodern music. Concerning an exogenous deviation within the development of composition, another interesting direction, perhaps more palatable for those who believe in the ultimate freedom achieved through music creation, which I gained knowledge of while at Matrix discussing with some of other participants (and listening to their music) and while in Berlin conversing with Canadian-German composer Marc Sabat, would be the ecological approach (Ecoacoustics) developed and advocated by, and characteristic of, Canadian composers nowadays. The vast and diverse natural riches inherited in North America inspire many composers to generate models of composition process (hence the perception of music) in various manners associative of an empirical or sociological environment. This idea extends to include an ecoacoustics that study and epistemologically incorporate ethnologically different music and societal cultures across the world. In Sabat’s words, he believes that new music nowadays (still within the framework of composition as work) should “branch out” instead of forcing forward, namely, investing in a macro-to-micro exogenous influence instead of an endogenous economy in dealing with sound and structure. These various epistemological or ideological deviations within the development of contemporary music composition aside, I must add that the reality of our field is far more complex than how any one individual or any one group of composers can imagine. In my dissertation I stress two important factors within the process of musical creation on every level which influence the outcome of the work but at the same time cannot be logically diagnosed or explained through any positivistic method currently available — the natural-physical/physiological truth of a musical material (those of sonic substance), and the complex of the individual’s (the composer’s) history and physicality. These two factors, if not exclusively, at least heavily, affect both the intuition and design (concept and process) employed in the act of composition, ergo potentially contribute to the unique personality of a music. These factors are not much talked about in most of the intellectual discourses taking place nowadays due to their obvious elusiveness. The artistic autonomy and intellectual control are seemingly under threat if such factors are openly acknowledged. Even for young composers who intentionally address the vulnerability of their own musical agency in works, the true vulnerability these factors impose is essentially different from the kind of designed and intended “questioning” that the composers try to consciously invoke. However, as I argue in my writing, instead of weakening the claim of music composition in an epistemologically pluralistic musical reality today, this true vulnerability of each individual composer actually fortifies the claim of artistic autonomy in our discipline, as it multiplies the odds of unpredictability of aesthetic algorithm disregarding the affinity or disparity of ideologies, ideas, techniques, and materials. I remember in the masterclass during which I presented one of my pieces to my fellow participants, an unforeseen and curious debate arose. One group of colleagues expressed unanticipated distaste toward my music, while the other was vigorously defending it on my behalf. The “non-believers” criticized my music for its, in their opinion, incredible perfection on everything from orchestration, structure, harmonic content, to poetry (which one of them alluded to “Frenchness”), and my impeccable craft which apparently “had accomplished in the piece something extremely difficult”, therefore they concluded that I did not take any risk or did not express myself in the most intimate term. After such assessment which took me completely by surprise, I responded that this is not a piece which poses a question, as some other works might have done; what I aimed to achieve in it was to make natural and desirable the uncomfortable, awkward gestures and sonic structuring I proposed in the music, and according to their assessment, I in fact succeeded in doing so. My defenders then supported my argument profusely, both in that masterclass and later at our daily informal soirée over wine and food. This rather unusual presentation forced me to think afterward about what I have not yet comprehended in the harsh criticism of some colleagues, and also about a general state of “lost-in-translation” persistent in the epistemological plurality that is today’s music composition. I have over these two years heard different vocabularies used to describe this particular piece I presented during the masterclass at Matrix15, and these include poetic, sensual, Latin, gross, passionate, original, personal, not having personality, French, imaginative, directionless, structurally impeccable, cartoon-like, block-like, single-line-like, hybrid, and so on, most of them complementary, some purely qualitative, while few judgmental, yet many – both positive and negative – contradictory. This resistance against being perceived through universal understanding in my music made me reflect on myself as a young composer. I looked back on my journey as a young artist and realized that many young artists nowadays share a similar degree of uniqueness in the shaping of one’s own individuality in accessing cultural heritages and ways of life. I grew up in Taiwan and being exposed to both western classical music and various Chinese musical traditions (especially that of theatre music), yet I received most of my formal music education in the United States, and then in recent years I have traveled to Europe often and have worked with musicians and composers there. Many of my colleagues similarly have some sort of nomadic background. What defines our identities as young composers? Our countries of origin? The countries and cities where we received our music education? The scenes and regions where our music is most amicably received? Does it even matter if our artistic identities are displayed logically and reasonably in the most superficial and visible epidermis of our music? Who is to identify us? 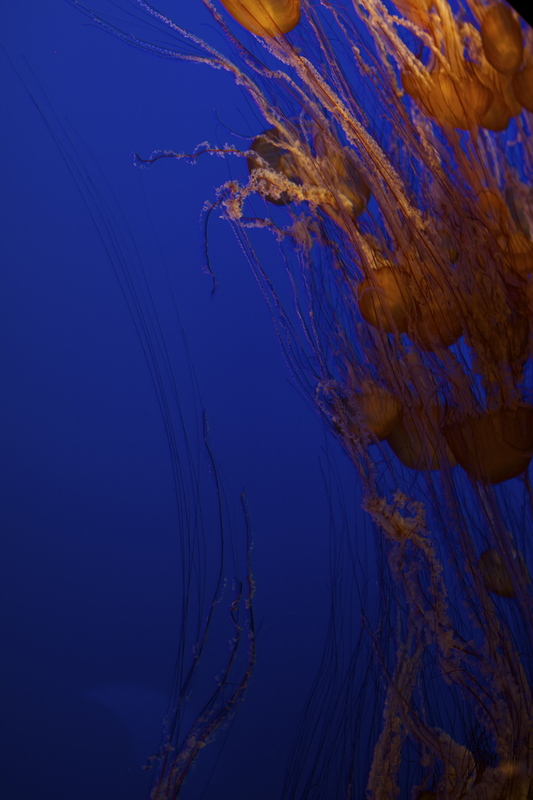 How can anyone identify anyone in today’s pluralistic individualism? These questions at once baffle and enlighten me. Disclaimer: as the discussion was conducted in German, and that I took the quotation from the real-time interpretation given to the public, I cannot guarantee the absolute accuracy of the wording of this statement. However, the word “eroticizing” is certainly the central theme in this statement. The terminological trio — work, media, and reception — is coined by German philosopher of aesthetics and art Harry Lehmann. Adorno’s definition of art as having “riddle” character, along with Valéry and Heidegger’s assessments of art which bring out terms like “hesitation” and “quarrel” (Streit) to describe the formula of art works are explored in Albrecht Wellmer’s lecture On Music and Language, compiled in Identity and Difference: Essays on Music, Language, and Time. Wellmer, Albrecht. “On Music and Language.” Identity and Difference: Essays on Music, Language, and Time, Ed. Peter Dejans, 109-110. Leuven: Leuven University Press, 2004. Some examples of New Conceptualism in music would be the works by Peter Ablinger and, at once famous and famously infamous, “music” by young German composer Johannes Kreidler whom I met in 2011 at KOFOMI (KomponistInnenforum Mittersill), Austria, where he gave a presentation. His conceptual work “Fremdarbeit” (“Outsourcing”) in its conception used a 2000€ commission fee Kreidler received to outsource two Asian “laborers” to compose the piece in his style, whom he paid only 150$ in total. The piece received more than a dozen performances and continuously earned him royalties. Some examples would be my newly acquainted colleague, young Canadian composer Charles-Antoine Fréchette’s study of ecological “mimicking” in his projects of “Topositions”. Also, one of the initiators of ecoacoustics in the 60s – the composer who coined the term “soundscape” – is R. Murray Schafer. Titled A Critical Survey on the Epistemological Approaches in the Analysis of Contemporary Music and a Synthesized Analysis of Fausto Romitelli’s La Sabbia del Tempo (1993). My trio piece aer- (2011) for flute, viola, and bassoon will be featured as part of “Checkmate” concert at the 180º Festival in Sofia, Bulgaria on August 12th, 2015, performed by Delphine Roche, Ashleigh Gordon, and Alexandar Hadjiev (former Ensemble Modern Academy fellows). 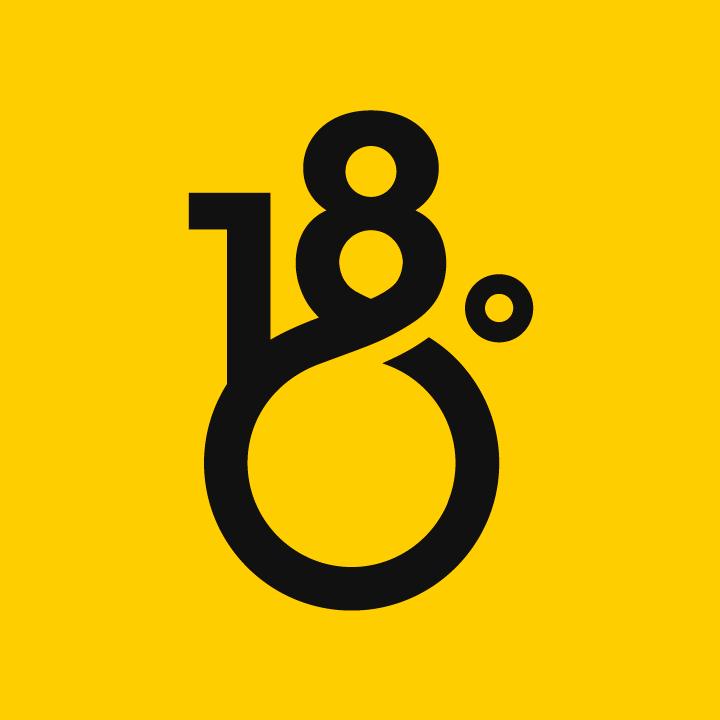 Please check out 180º Festival‘s website — it is a roster of exciting artists including composers, musicians, dancers, theatre artists, visual artists (Polish poster art! ), improvisers, and many others. There is also a small feature of my “profile” among those of other fellow artists. If you are in the area, I highly recommend this event (and the entire festival) for you to check out! It is a highly integrated, carefully curated event which attempted a contextualized realization of various expressive art forms and periodic genres. Albeit new (this is only the second year since its inauguration), 180º Festival promises great possibilities for the future of music festivals.